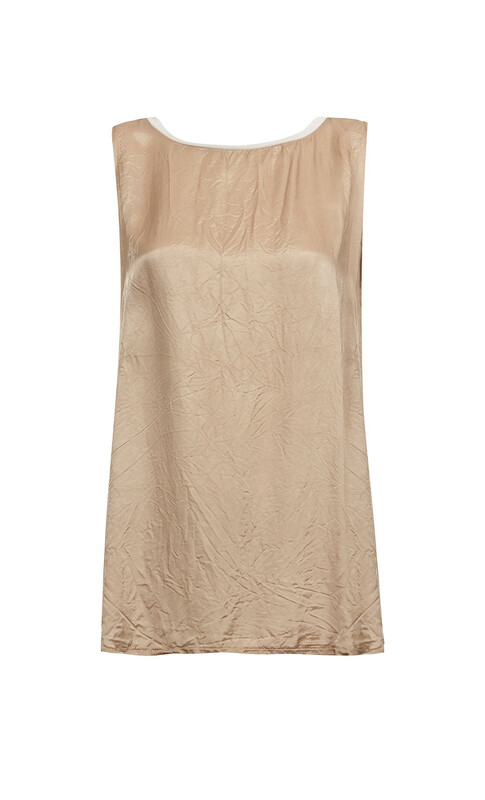 Crafted from crisp crinkled rayon this comfortable, easy to wear sleeveless top is perfect for summer days. Its oversized shape with a relaxed design will ensure a feminine look. Style yours with our Angi-Zar Pants or any outfit.